Hendrik Dietz has been appointed as associate professor at the Physik-Department, leading the research group for “Biomolecular Nanotechnology”. The laboratory of Professor Dietz (b. 1977) develops tools based on DNA nanostructures which make it possible to investigate and manipulate biological macromolecules using new methods and providing a wealth of detail. The objective of this research is to elucidate the microstructure characteristics and to understand the physical properties of, for instance, the adhesive interactions between biomolecules which are essential for many dynamic cellular processes such as gene regulation. In the long term Professor Dietz hopes to make a significant contribution to the creation of a biologically inspired nanotechnology with practical benefits for everyday life. This includes uses in medicine – for diagnosis and therapy – and synthetic enzymes for biologically inspired chemistry. Hendrik Dietz studied physics in Paderborn, Zaragoza (Spain) and at LMU Munich. After obtaining his doctorate at TUM in 2007 he worked as a post-doctoral researcher at Harvard Medical School, Boston, USA. 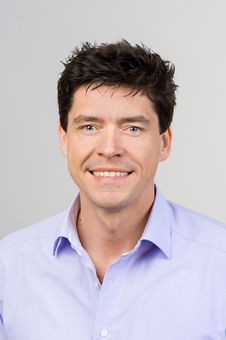 Hendrik Dietz has been a professor of experimental biophysics at TUM since 2009. Since 2010 he has been additionally appointed as “Hans Fischer Tenure Track Fellow” of the TUM Institute for Advanced Study.